A sheep farmer has called for a change in the law after he was left horrified when a dog savaged more than 20 of his new-born lambs. James Edwards, from Hampshire, was backed by farmers on Twitter who prompted a push for more severe punishments for dog owners who let their dogs run free around livestock. He warned dog attacks had become a ‘standard part of sheep farming’. “I checked on the lambs early morning and everything was fine,” Mr Edwards said. “But when I came back to check on them a little later in the afternoon I came across the first dead lamb with a hole in its side and two very big incisor marks under its stomach. The shepherd said he expected the lambs were likely targeted after he said it looked like the dog ‘came back for more’. 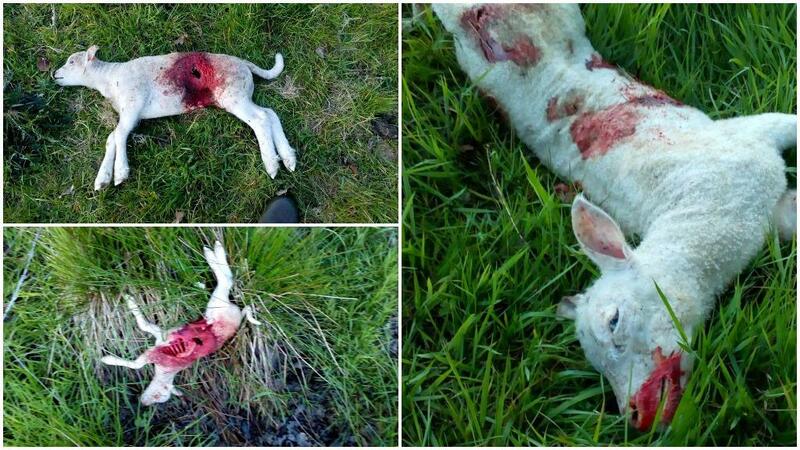 Some lambs as young as one-day old escaped through the electric fence and into the nearby woods, but Mr Edwards found them dead the next morning after being ‘starved and freezing’. Previous incidents had also seen Mr Edwards find a dead ewe in a kissing gate before also discovering a dog lead next to a decimated ewe. He said his majority Exlana ewes had a 'fairly high genetic value'. “It was strange because there was not a single lamb with no bite that was not dead,” he added. “It had not tucked into a single ewe, but just gone lamb to lamb. Mr Edwards said he had never known a single dog walker own up, but had also yesterday bumped into two dog walkers with their dogs off a lead. “People let their dogs run everywhere and then just go home,” he added. “The ewes often deliver the lambs on their own and it is such a pleasure watching them be so maternal.